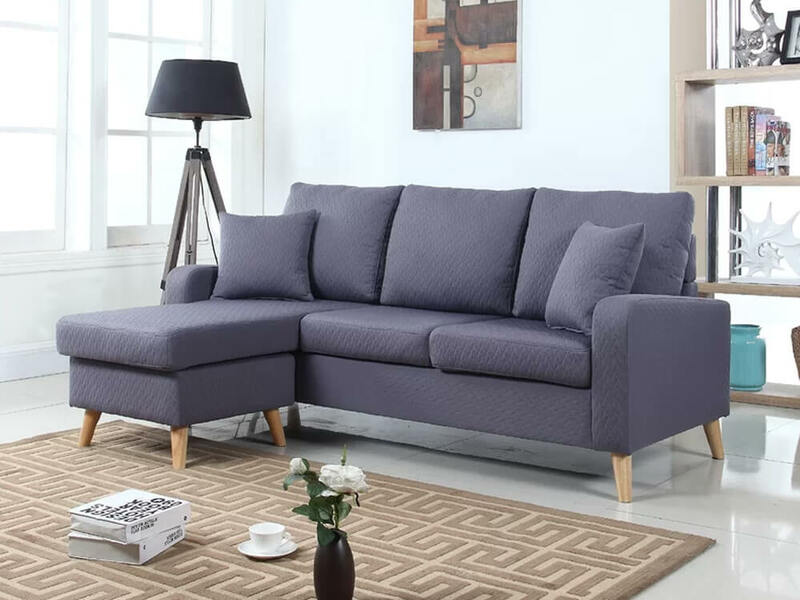 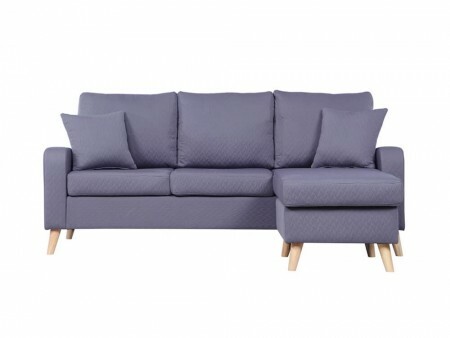 The Shay sectional is a unique small size sectional, fun with its natural flared legs and medium grey upholstered fabric. 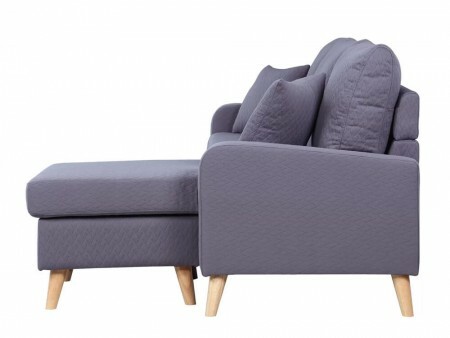 It is a key piece for a compact living room with the need for comfortable seating or lounging. 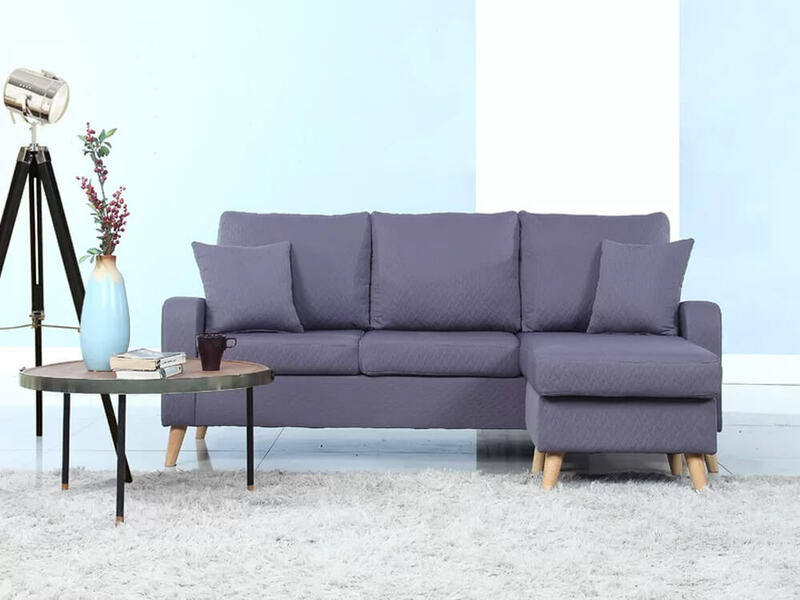 This sectional will really pop in your living room with some bright pattern decorative pillows or a throw. Rent the Shay Sectional from Inhabitr today to complete the look of your living room.